1. 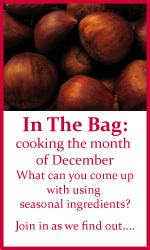 Participants should attempt to use all the ingredients ‘in the bag’ for that particular month, but may leave one out if they prefer. The dish should be based around the seasonal ingredient, with it acting as a central ingredient. 2. Participants can include any “extra” ingredients that they see fit. 3. Entries should include a link back to the host for that month, and the post should be tagged “In the Bag”. 4. Entries can be written any time during the month, as long as the URL is emailed to that month’s host before the closing date. 5. Particpants from outside of the UK are most welcome to join in and substitute an item from their own local seasonal produce if necessary. ‘In The Bag’ is a food event run monthly by ‘A Slice of Cherry Pie’ and ‘Real Epicurean’. Can I replace the Chestnut with any other nut if Chestnut is not easliy available? Soma, absolutely – please fee free. Hey Anne – yes it would indeed count! 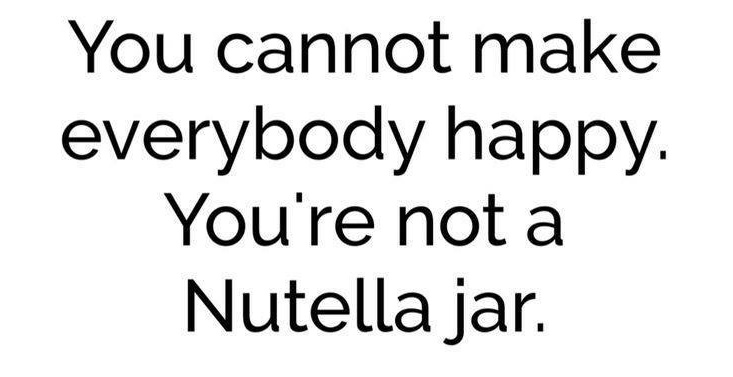 I’m quite sure I’ve got a jar gathering dust too now I come to think of it! I just mailed u my dish. No chestnuts…Had to use some other nut.